Quality early childhood education can reduce the achievement gap. Too many American children start school inadequately prepared to succeed. Gaps in cognitive, linguistic, social, and emotional skills due to unequal opportunities become evident well before children enter kindergarten. The resulting achievement gap widens as children progress through school, despite strong efforts at remediation. The long-term consequences include high rates of school failure, grade repetition, inappropriate special education placements, and dropout; involvement in risky behaviors and crime; and, even higher risk for adult chronic disease including hypertension, heart disease, obesity and diabetes. These problems are not limited to the poor: many children who fail a grade and drop out are from middle-income families. The costs of remediation, social dependency, poor health, and lost productivity are very high to individuals and our nation. Access to quality early childhood education is essential. The early learning programs and child care that many parents can afford are not of good enough quality to appreciably affect early disparities in development. Inequities in access to high-quality early education may actually make them worse. From actual observations of children’s experiences we know that much of the education and care provided in preschools, center-based settings, and child care homes is not of sufficient quality to produce strong outcomes for children. Inadequate quality characterizes the preschool experiences of children from both middle-class and lower-income families. Develop the whole child with quality programs. Physical and emotional health, early learning, and socialization are key elements of healthy development that must be addressed in quality early childhood education delivered by well-trained teachers using proven curricula. Children benefit most when teachers engage in interactions that stimulate learning while being emotionally nurturing. These interactions foster engagement in and enjoyment of learning. Critical to assuring quality are continuous improvement systems that support teachers in the implementation of evidence-based curricula focused on specific areas of learning and socio-emotional development. In-classroom coaching and mentoring is a successful approach to providing this support. In addition, salaries commensurate with comparably prepared K-12 colleagues could stem the flight of teachers away from early childhood education. Quality programs include health and home. Evidence-based health and parent engagement activities contribute to greater success. Early screenings and follow up promote healthy cognitive, socio-emotional, and physical development. By modeling positive parent-child interaction and offering parents opportunities to practice with feedback, programs can augment the positive effects of preschool on child development and later education achievement. Quality programs can be brought to scale. Large-scale public preschool programs have produced substantial impacts on children’s early learning. Recent analyses integrating evaluations of preschool programs find that children make substantive gains in cognitive abilities and later school success in preschool programs including Head Start and state/local pre-K programs. At-scale preschool systems including in Tulsa, Boston, and New Jersey have produced even larger gains in language and math above and beyond comparison group children, many of whom were in other center-based programs. Benefits to children’s socio-emotional development and health have been documented in programs that focus intensively on these areas. Quality programs produce quality life outcomes. Early childhood programs produce larger long-term impacts on life achievement than on IQ and achievement tests. Studies often find some convergence in test scores between children who did and did not attend preschool after children enter school. Despite the convergence on tests of achievement between children who receive quality early childhood education and those who do not, evidence points to important effects in other areas over time. 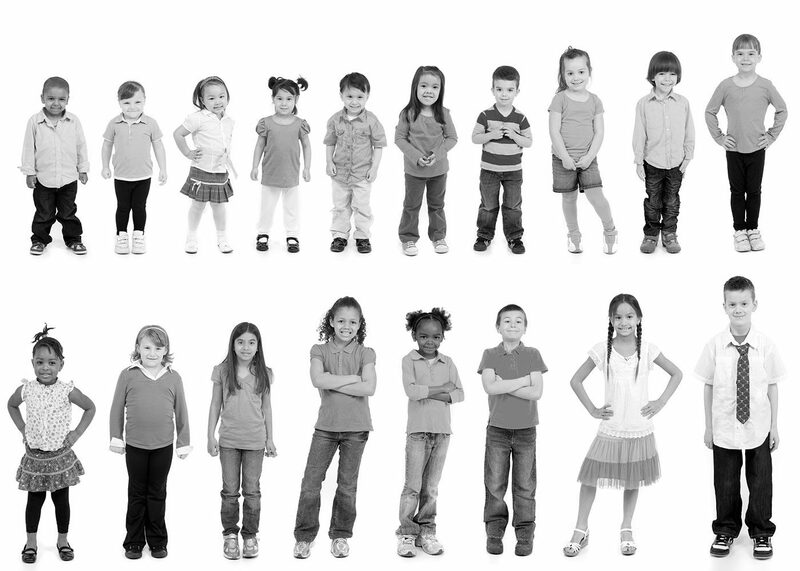 Children who attended preschool show reductions in special education and grade retention. Evidence from long-term evaluations of both small-scale, intensive interventions and Head Start find long-term effects on important societal outcomes such as high-school graduation, years of education completed, earnings, and reduced crime and teen pregnancy, even after test-score effects become indistinguishable. Research is now underway focusing on why these long-term effects occur even when test scores during the school years converge. Quality early childhood education benefits children from diverse family backgrounds and circumstances. Quality early learning can benefit middle-class children as well as disadvantaged children; typically developing children as well as children with special needs; and dual language learners as well as monolingual English speakers. Although early research focused only on programs for low-income children, more recent research indicates that middle-class children can benefit substantially and these benefits outweigh costs for children from middle-income as well as those from low-income families. Investing in quality early childhood education pays off. Rigorous cost-benefit analyses show that the economic benefits of early childhood education outweigh the costs of providing access to quality programs. Available benefit-cost estimates based on older, intensive interventions, such as the Perry Preschool Program, as well as contemporary, large-scale public preschool programs, such as the Chicago Child-Parent Centers and Tulsa’s preschool program, find that their benefits far exceed the costs. Critics of greater investment ignore the full body of evidence. Critics often cite data out of context, cherry-picking findings that highlight minimal effects within the larger findings of overall benefits. In addition, they claim the need to wait for larger-scale studies over many years to prove long-term effectiveness, knowing full well that such experiments are not possible without significant government investment and decades of research. Existing research findings are sufficient to warrant greater investment in quality programs now. Additional investments in research are essential and will be most productive if used to monitor quality and guide ongoing improvement of programs and systems.